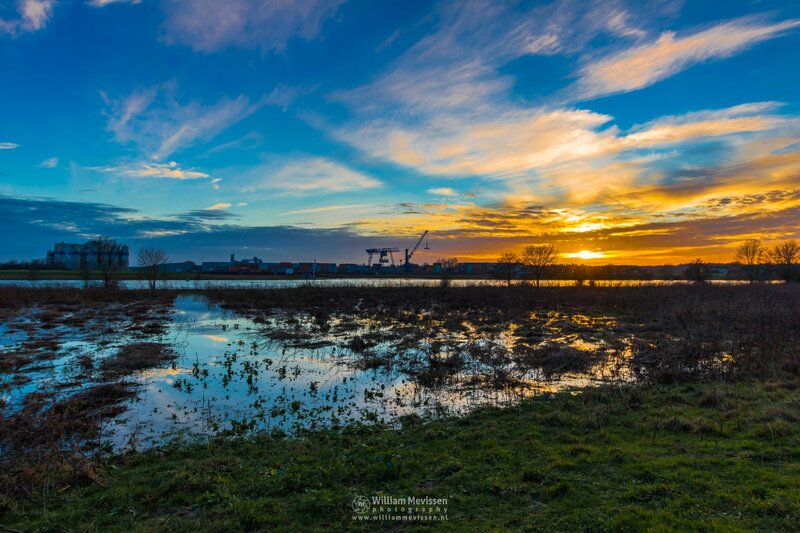 Industrial Sunset View at Port Wanssum from nature reserve De Baend across the river (Maas, Meuse) in Well. Click here for more information about photo 'Industrial Sunset'. Click here for more information about 'Wanssum'.